I had a great conversation with a support friend the other day. "I've come so far but still feel stuck sometimes when it comes to certain things." He was elaborating on how things that were once a very important part of his transformation have become more challenging--to the point of feeling stuck. It was an easy conversation because I can relate 100%. The narrow focus is needed in a one day at a time, daily practice type approach. What I've personally discovered and what I hear from others too, is how when we feel like we're not doing as well as we should in certain areas, we end up getting hyper-focused on it--and in that super narrow focus we tend to forget how far we've come and most importantly, we forget the intentional actions we made important in helping us along the way. I know in order for me to be well, I must maintain a narrow focus on the core elements of today's plan of action. But when I start mentally harping on myself about the things I struggle with, that's when I sometimes apply the same narrow focus--completely forgetting about what's been accomplished and what it took to accomplish. In that narrow focus, I can only see the problems and I can't see any of the possible solutions. What good are the lessons learned along the way if they're completely blocked out when they're needed the most? Living as a 500-pound person for almost twenty years took a lot of work. I would venture to say it took more work than the work it takes to live a daily practice keeping me in a healthy weight range. If I'm feeling stuck in certain areas, I must draw from the experiences along this road. I mustn't forget how far I've come and most importantly, the intentional actions it's included each day. Considering how many big before pictures I've shared over the years, you might find it hard to believe that I often tried to avoid pictures back then or at least hide behind someone or something. This picture was snapped by a colleague who had just received his new iPhone (it must have been the first iPhone). He wanted to try out the camera and I was right in front of him, so why not? I remember him showing me the picture afterward and me not liking it one teeny tiny bit. It's interesting how our perception can become warped. At my heaviest, I didn't realize I appeared that large. I really thought I appeared smaller. It was always a shock to see a picture, wow, am I really that big? Flip it around and the opposite perception comes into play. At my healthiest weight, I always thought I appeared bigger. Seeing pictures was equally shocking, except it was the opposite thought, wow, am I really that small? Now, I feel like I have a fairly decent handle on my authentic reality. And quite honestly, no matter my size and/or imperfections, the things I'm making important are the non-negotiable fundamental elements of my continued wellness. To me, the top of the importance level gauge is labeled "sacred," and I mean it 100%. As long as I keep that importance level gauge pegged to the top, I have a good chance of maintaining continued wellness. Maintaining continued wellness requires a narrow daily focus on the core elements of my daily practice. And when I'm struggling with certain elements of my plan, like exercise, I must broaden the focus and draw on the experiences that have brought me here today. I handled the ceremony music for a wedding today. It worked out perfectly. I didn't ruin a wedding, yay!! Yesterday was a 4-star day: I maintained the integrity of my calorie budget, I remained refined sugar-free, I exceeded my daily water goal by 32oz, and I stayed well connected with exceptional support. Getting enough water is one of those things for me that requires intentional effort. My minimum goal each day is 64oz and I'll hit that even if I must down 2 cups or more late in the evening. I had a midday meeting yesterday where all I did was drink water, 6 cups, and that helped push me past my minimum by 32oz. I've learned something from this. The pattern: When the water is served in a meeting or restaurant setting, I most always make or exceed my goal. Clearly, I need to schedule more meetings and restaurant trips. I'm kidding. No, I must make a point to serve myself water throughout the day. I don't have a problem getting enough coffee each day because I love coffee! The water thing isn't a huge issue because I'll hit the 64oz come what may, but if I can be a touch more mindful maybe it'll prevent me from standing in the kitchen chugging water at 10pm. I have a wedding rehearsal to attend this afternoon. I'm playing the ceremony music for the daughter of a colleague tomorrow evening. It'll be a simple job, one I've done many times for a lot of people but I still get a little anxious because it's their wedding!! You don't want to mess up someone's wedding music! The nice thing about this one is, I don't need sound equipment because it's built into the venue. That makes it easier. The wedding I'm booked to do next weekend is a different story--full setup. I don't actively pursue wedding gigs but the requests come every now and again and if I can do it, why not? I'm off work today--which is nice. I slept in really well. I finished my morning foundational routine, I've made some good support contacts today, and I've enjoyed a nice brunch. I plan on getting some exercise at The RecPlex later this evening and that'll cap a fairly decent Friday. The forecast yesterday wasn't a good one. It was billed as our first big weather event day of spring. The predicted severe weather came right on cue and completely disrupted my schedule last evening. Normally, Wednesday is a support group night for me. Fortunately, I was able to communicate with each member and reschedule our group call time for this evening. I'm grateful for that--and grateful for the storms not being too severe as they moved through our area. A late night at the studio meant a late bedtime for me--and a short night of rest. I was able to get an hour-long nap this afternoon. Now I'm rested and ready to go for the second half of this day! I had a good conversation with a support friend today all about emotional/stress eating and food triggers. When I've struggled hardest it's usually something, not even food-related that's bothering me. My disease makes it all about food. If I sit down and think about it, it's usually either job, relationship, family, or some other kind of stressor or it's a frustration for what I perceive to be my own shortcomings. Also, it's often fear over things ahead even if I don't have good reason to fear- which is basically the emptiness of uncertainty. Uncertainty is a horrible one. Something I try to frame: Whatever it is pressing on my brain, emotionally and/or mentally, it will work out better IF I maintain the integrity of my plan. In that perspective, it's difficult to believe the lie my head is trying to sell me. My head says that I need to eat off-plan and that'll help-- if I don't pause, that's what I'll go with. If I allow a little space between the thought and the reaction, I can find the right perspective needed for positive action. We pause to act instead of reacting. If you're like me, this is our normal- and it's why we must practice a plan each day. One of the biggest barriers to that trek, in my experience, is resentment for this fact. That resentment didn't start fading for me until I stopped doing something I didn't even realize I was doing: I was comparing myself to everyone else. I wanted to live their normal. I was constantly telling myself I wasn't normal- as if something was horribly wrong or flawed with me. I was pissed off, quite frankly, because I couldn't live with any peace and stability when I tried to assume the normal of "those people." But... when I decided to embrace MY normal... when I decided I wasn't abnormal, I was just me, and me was okay... suddenly I felt better. I cannot live my life constantly believing there's something wrong with me. My normal requires a daily practice. And that doesn't make me bad. Much like someone with a potentially deadly disease takes their daily course of medications and/or treatments in order to maintain their wellness. Some people in a situation like that might curse to the heavens asking "why me??" But then, there's also some of the most serene and peaceful people practicing their self-care with an embrace free of that frustration and resentment. I once asked a studio guest who was in the process of going through intensive cancer treatments, "with all your health challenges, how do you smile so much and stay so positive?" Her reply: "Because I tried the alternative and it was miserable." We have a beautiful opportunity to embrace our individual normals and dramatically change the course of struggle into something much less powerful. We will certainly have challenging days, everyone's "normal" does, but we practice a plan to help us through another day. Yesterday was a 5-star day: I maintained the integrity of my calorie budget, I remained refined sugar-free, I met my daily water goal, I enjoyed a good 30-minute elliptical workout, and I stayed well connected with exceptional support. Last night was another T-Ball game night with Noah. It's so much fun to watch him having so much fun! I stopped by mom's for a visit on my way to the RecPlex for a workout, then a fast store run, blog post, and late dinner. The hours preceding yesterday evening's activities were also scheduled fairly tight. In all, it was a good day. It's looking like we're in line for severe weather tonight. I'm currently making preparations in case I get activated for coverage. My morning foundational routine of meditation, prayer, positive visualizations, and positive self-talk continues to be a top priority each and every morning. I highly recommend adding some kind of mental/emotional/spiritual "exercise" to your daily practice if you don't already have one. It makes a profound difference for me each day. It can be whatever you make it. That's up to you and your individual preferences. Sour Cream Chicken Fajita Crispy Tacos #foodplan #dailypractice Sour cream goes in first! Three corn crispy taco shells, 3 tablespoons sour cream, 6oz fajita style chicken, lettuce, and 28g white cheddar. #whatilike 565 cal. Today just absolutely got away from me. I haven't missed a day of posting to this blog in five years and I don't plan on starting now. Just the same, I always encourage others to find ways to simplify their practice during particularly challenging periods, and my version of that for me and this blog is to not put pressure on myself to post a blog by 5:40am, or even by 3pm. I've released that requirement and simplified it to anytime within that day's 24-hour period. Some are short, some are long, some have something to say or share, others--well, like tonight, just kinda checks in for the record. Yesterday was a 4-star day: I maintained the integrity of my calorie budget, I remained refined sugar-free, I met my daily water goal, I ended up walking for 30 minutes after discovering the new Sunday hours at the RecPlex (showed up and they were closed! ), and I stayed well connected with exceptional support. Mom and I enjoyed a nice outing last night. The best parts of our get-togethers are the conversations and laughs we share. If you would have asked me about the best parts eleven years ago, I guarantee the food would have been mentioned right at the top. A big part of shifting the perspective and focus is about putting food in its proper place. Yes, we enjoyed a good meal at our favorite Mexican place. I ordered on-plan and the food was good. But the food wasn't responsible for making it a good visit. I mustn't make food the "star of the show." Not being "in the food" means I can focus on meaningful conversations and experiences. This redirect of focus comes in particularly handy around holiday times. Easter is this coming weekend, so now's a good time to talk about this topic. During big holiday get-togethers, I must set intentional non-food goals. I've practiced this the last several Thanksgiving and Christmas dinners and it's worked well. Where my mission was once centered almost exclusively on the food and eating as much as I can--it transforms into things like being the family photographer and throughout the course of conversations, discovering something I didn't know about a longtime family member. Ask questions, listen intently--engage in the moment...these are things I rarely made important back in the days spent "in the food." This practice requires awareness and mindful, intentional choices prior to an event, where the question is asked: What are my goals for this event? What do I expect will make this experience wonderful? This redirect doesn't mean I can't appreciate and enjoy a good meal--I can still be a "foodie." It simply means I intentionally find other non-food things and people to be the center of my attention. Another 8-week session of the support group I facilitate starts next Wednesday the 24th. Only two spaces remain available. I started these groups years ago with my friend and mentor, Life Coach Gerri Helms. She offered some wonderful words this morning on my Facebook page: "I highly recommend Sean's groups if you struggle with consistency in your healthy body goals. As an old (and I do mean old!) partner with Sean, I've seen firsthand the transformation that comes from working with him and his team." (Gerri Helms, Retired Life Coach) Thank you, Gerri! We have a "secret" Facebook page, which simply means it is only visible to members- and all activity within the group page stays exclusively on the group page. All members are encouraged to be active on this group page for daily accountability and support interactions. In the past, we've had members who "don't do Facebook," but they do it, not publicly, but privately, only for the benefit of our group interactions. We have three call times for our weekly one-hour teleconference group coaching/mentoring sessions. Upon signing up, you pick a call time that works best for your schedule- then, each week, we work together in helping you define your plan and create the structure you need to achieve consistent positive progress. Our members are from all across the United States and Canada. If you're from overseas and the time difference can work for you, we have special "local to you" international call-in numbers available. The next 8-week session starts with the week 1 group conference calls on the 24th. The membership fee is $120 per 8-week session. After your initial session, you receive a $10 "returning member" discount. The fee is billed once prior to the start of the session via secure PayPal invoice emailed directly to you and paid with any credit or bank card. It averages out to $15 a week for the weekly coaching/mentoring, daily team support via the page, and spot text/call support as needed with me and others. As you get to know your team members, you'll likely develop good supportive relationships with them as well. This isn't a diet plan. We have members at all stages of their individual paths, from longtime members in maintenance mode to members just getting started. We all relate to one another. We're in the same lifeboat. We get it. The mission, as shared in yesterday's post: "Creating and practicing a personal and unique plan enabling each of us to achieve, as a side effect, a body weight conducive to the best possible health benefits." When I started over ten years ago, it was the addition of good accountability and support that made a difference that ultimately changed everything. If you're willing and ready to develop your personal and unique plan to help you move forward with a positive and consistent stride, this small and exclusive support group could provide the kind of accountability and support that makes the difference! Yesterday was a 5-star day: I maintained the integrity of my calorie budget, I remained refined sugar-free, I met my daily water goal, I had plenty of natural exercise with walking and stair climbing, and I stayed well connected with exceptional support. As I look back on my life, specifically during the years where my 500-pound body weight reflected a man fully engulfed with the behaviors of food addiction and compulsive overeating, I think about all the living I missed. I think about how my family, namely my daughters, were shortchanged because I was living life in constant service of the food. Now, to be fair, I do my best not to dwell there too long--and my daughters, ex-wife, and others are some of the most forgiving and loving people I know--I'm fortunate and loved, and blessed by their compassion and understanding. Addiction of any kind progressively steals one's life, body, mind, and soul. I mention this because I'm immensely grateful for the opportunities to do things differently. One day at a time, I must practice this practice of living that effectively exchanges the chaos of addiction for an abundance of life. This weekend has been a full one! Noah had the time of his life at last night's Monster Truck Show. Spending time with him is such a blessing. To witness his joy for life and others melts my heart every single time. He spotted a friend from his kindergarten class too--and oh my, they were buddies sharing an awesome experience! We had our earplugs ready to go. Those trucks are super-loud!! Zilla was Noah's favorite. He told me so over dinner, after the event. Dinner was simple. We found a nice little Mexican restaurant and ordered my trusty sour cream chicken crispy tacos. Noah wanted something else after we left the restaurant. "Po Po, can we get ice cream?" "We can get you some, buddy, sure!" There we were, 10pm, in the drive-through of an ice cream place. It doesn't bother me in the least to be in that situation. I don't make a habit of intentionally putting myself in this type of circumstance, but I feel a peace and calm in my recovery--for this circumstance, for Noah--absolutely. Ice cream is my number one trigger food of all time. To be calm, peaceful, and content, when it's around, is a miracle. I'm grateful for that. I handled the cup like it was kryptonite, carefully passing it back to Noah. It wasn't long before he finished his dessert and drifted off to sleep for the hour-long drive home. What a wonderful night all the way around. I'm glad I took him for this experience. He and I haven't had a chance to do a lot lately--so with free tickets to the event--and a night off, this one was on! This morning included narrating a cantata at a big church. This is the second time I've had the honor of narrating for this particular church. Doing live narration is one thing that makes me nervous. There are no do-overs! But I rehearsed yesterday morning with the orchestra and choir--and studied my script this morning over coffee, after my morning foundational routine, so I was as ready as I could be for this event. It turned out beautiful. Something about an amazing choir combined with an expertly tuned and conducted orchestra...wow, it just gives me chills. They were so good! Marcia, on the left, was my narrating partner today. She was an absolute pleasure to work alongside! What a weekend! From the bingo fundraiser Friday night to my granddaughter Phoebe's first birthday party, cantata rehearsal and the Monster Truck trip with Noah yesterday, and today's cantata--a workout at the RecPlex later this afternoon, and dinner out with mom later--uh, yeah, I'd say I'm living throughout this daily practice that helps keep me well. The mission statement for our group says it all: "Creating and practicing a personal and unique plan enabling each of us to achieve, as a side effect, a body weight conducive to the best possible health benefits." I have been part of Sean's group for over 3 years. Not only was the group instrumental for me to be able to lose my last 30 lbs, but it has been very important in helping me maintain an approximately 80 lb weight loss for almost 2 years. Not only do you get Sean's inspirational leadership and experience and generosity of spirit, but you also get a group of wonderful, supportive teammates who will be there for you. We all follow our own plans, but the group is more about dealing with all the other things that get in the way of a healthy weight. In the end, what you eat is not as important as being able to deal with feelings and situations without turning to food. This group will help you with that. It was the missing piece for me. Recommend highly!!!! --D.A. Washington D.C.
My goodness, well said! Thank you, D! Yesterday was a 5-star day: I maintained the integrity of my calorie budget, I remained refined sugar-free, I met my daily water goal, and I stayed well connected with exceptional support. I gave myself an extra star for the effort required to make it a good day. Yay for extra stars! Yesterday was one of those days where I needed to stay ahead of the schedule. I'm taking medicine for the sinus situation creating the tooth pain, but still--that pain persisted yesterday. I suppose it takes time to work. If you've ever done your best to smile through pain, that's what I had to do for my morning show and the two-station location broadcast immediately after the show. Fortunately, the mouth pain improved into the afternoon. Good thing, because I was scheduled to call bingo numbers for a local elementary school PTA fundraiser (haven't missed a year in a decade!) and then straight to pick up mom for granddaughter Phoebe's 1st birthday party! It all worked out very well. Thank goodness! Awe yes, the traditional "messy" cake! Phoebe had a great time. She's so beautiful--just adorable!! Watching her reaction to a new kitty cat toy Courtney bought her was absolutely precious. Every time the toy cat meowed, she'd smile big followed by a bunch of hugs and kisses. It was clearly her favorite thing! Avocados, apples, bananas, a coffee mug, and a nice card signed by teachers and students!! Awe... it was special! Thank you, Woodlands Elementary! I've been asked to do the live narration for a cantata at a big church. I'm headed to rehearsal soon. I'm ready for a good Saturday. My morning foundation routine is complete, I'm about to enjoy my breakfast, and I'm visualizing a productive day. One of the perks of being in radio is getting free tickets to things. I'll be using some free tickets tonight when my grandson Noah and I enjoy the Monster Truck Show. It'll be a surprise for him--he just knows we're hanging out together--he doesn't know what we're doing. That reminds me, I need to buy earplugs! Yesterday's food day was a good one. I took a departure from my usual lunch tostadas, opting instead for a grilled chicken breast, sliced and baked with cheese and black olives, then topped with sour cream. Next time, I'll add some refined sugar-free all-natural enchilada sauce--and it'll be "tortilla-less" chicken enchiladas! Oh--I almost forgot. My device decided to stop working yesterday. I use my phone for everything--work and all of the other things I do, so imagine my horror when suddenly it wouldn't take a charge!! Luckily, I was able to find a repair place to change the battery. I was stressed! It was fixed in less than 30-minutes, right before the bingo fundraiser--and all was well. It's funny--one of the things that crossed my mind was the idea of losing my 1,815-day streak on MFP. I quickly calmed that irrational fear by remembering how I could log in from my desktop computer if needed. The whole device thing was one stressor I didn't need yesterday. I'm so glad it worked out because this three-year-old phone is paid for and I don't plan on getting a different one anytime soon. Before I wrap this edition, a reminder: The next 8-week session of the weekly teleconference and daily private Facebook support group I facilitate starts April 24th. For a wonderful testimonial about this powerful support team, read yesterday's edition of this blog. If you have questions about how it works and how to register, email me: transformation.road@gmail.com We only have two or three available spots for the next session. Will you join us? It is almost time for another 8-week session of the weekly teleconference/daily Facebook support group I facilitate. If you're ready to discover the difference good accountability and support can make, join our team! We only have room for a few new members! If you're interested in details, email me soon: transformation.road@gmail.com The next session starts on April 24th! In this day and age of television diets, the powers that be want us to believe and spend our hard earned money on this diet or that diet. Sure, they all work to some degree, but none are sustainable. They are not a lifestyle. And for me, I've learned that what is sustainable is the support and accountability that others who are going through what I am going through bring to the table. This is especially true for us guys, that don't want to really acknowledge that maybe we need support and accountability. My philosophy was always, "I can do this myself, I don't need anyone's help." That's why I lost and gained weight more times than a wrestler preparing for a match. Sean Anderson provides those of us that are reluctant to get into some form of therapy or group situations with a unique opportunity to enjoy that accountability and unconditional support and yet keep the setting in a very informal one - our own homes. As someone who now has done many groups including Sean's for many years, I can tell you what he charges for his eight-week support calls and his private Facebook group page is way below what mainstream support groups charge. Yet the quality of his support and the group rivals that of any group I have been a part of. If you have gained and lost weight many times over and wonder why, maybe what you are missing is this key element. That of support and accountability. If you decide to join Sean's group you may just find that missing piece to your own health lifestyle. Don't fall into the diet mentality that we are all led to believe by the media, try something that works. What do you have to lose but maybe some extra weight and gaining a new you? Personally, it all started for me with Sean's group, which was a stepping stone to more local groups and extended therapy. I learned more from others than I ever would have on my own. And I'm not to proud to say now that I couldn't have done this by myself. And it all started with one of Sean's support groups. You're very welcome, Michael. And thank you for being so incredibly inspiring. You're doing amazing work! It has been an honor to witness your incredible transformation and what you do each and every day. The pain started yesterday off and on. Then, I woke up in tremendous pain this morning. A toothache had set in and it was relentless. I took some ibuprofen and Tylenol and soon started feeling good enough to eat breakfast. But then, it came roaring back mid-morning. I left work early to find a dentist. I was lucky enough to get into one at noon. The exam and x-ray couldn't find any sign of infection or a cavity. The doctor suggested it might be pain created from sinus pressure. He prescribed a Zpack and sent me along--telling me if it gets worse to contact him directly over the weekend and we'd explore further. I skipped lunch today because the pain was too much. I was able to rest some this afternoon and as of this writing, the pain has subsided. I'm planning to prepare a dinner soon and get ready for my support group conference call tonight. The more I move along this road, the more I learn. Making sure my mind is open and my perspective is in a positive place, is paramount to my continued growth. I have a lot to learn. I'm excited about learning more! This is an important point: If we believe we already know it all, experienced it all, understand it all--then essentially we're hanging up a closed sign on our brain. Too many times we take great pride in knowing what we know and it can end up completely stunting our growth along this road. "I know what to do, I just gotta do it" is a phrase I once used all the time. 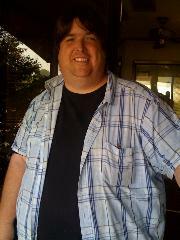 But clearly, for almost twenty years I stayed near, at, or above 500 pounds--proof positive that I didn't know what to do. My belief that I knew what to do closed my brain to different perspectives and approaches. If intelligence is a strong component of one's identity it can quickly become a trap. If not making progress is perceived as a moral and/or intellectual failure, then the desire to isolate and "figure this thing out" becomes stronger---and the hole gets deeper. Morbid obesity and the multi-faceted contributors that create and support an unhealthy body weight are NOT moral or intellectual failures. I know many super-intelligent and incredibly amazing people who struggle with food addiction, compulsive overeating, and the resulting weight gain/body weight issues. I've been honored to work as a coach/mentor with some of the most intelligent people I've ever met; a doctor of psychology, lawyers, nurses, and many more. One of the biggest things that helped them break toward consistent positive progress was the ability to release the anchor of what they know and allow new perspectives and new practical/intentional actions into their day to day life. One of the most important things I must do each morning is humbly admitting, I don't "got this." It isn't some kind of automatic thing where once I start doing okay--then it's all fixed and good. No. I ask for help. I lean on a daily practice of fundamental elements and I lean on support from others. I have so much more to learn along this road. That learning process must never stop. One of the big things I talk/write about/and encourage people to practice is positive visualizations. The practice of positive visualizations has been a key component for me because if I can imagine it, visualize it, dream about it--see it in my mind's eye, then I start to believe it's possible. It's one of the most underrated things I've been doing since day 1. I say "underrated" because I don't give it enough credit. Positive visualizations support enthusiasm for the process and help us stay connected with our "why?" Why are we doing this? But be careful because negative visualizations are powerful too. During my relapse/regain, I had many visions of the gloom and doom in front of me if I continued spiraling out of control. My focus was finely tuned with fear of consequences from those days of chaos. And those consequences came in full force. For me, it all goes back to: We get more of what we give the most energy and thought. We attract it. We either focus on what we fear or what we dream--or a mixture of both, I suppose. I've lived examples of both sides--the good and the not good, I've attracted a whole lot of both in my life. I'm blessed and grateful now--because the good far outweighs the other, but I must admit--there are many areas in my life where I could use a revamp of my own positive visualizations. I'm working on some of those, too. The list of health improvements for me, as opposed to my 500-pound days, is a very long list. Recent lab results were better than I expected and a night and day difference. The medical results are things I'd often use for my positive visualizations throughout my transformation. Take a break, close your eyes, and imagine the possibilities in as much vivid detail as you can muster--it can really make a profound difference. Sometimes in the beginning or in the middle of it, it's hard to imagine life any different than the moment--but imagining, visualizing where you're headed helps bring it to life because it serves as a powerful reminder of why you're doing what you're doing--and it also helps you believe it's possible. If you can dream it and believe it, you can do it. I started dreaming of believing in my transformation from Day 1. Don't give up. Ever. Please.